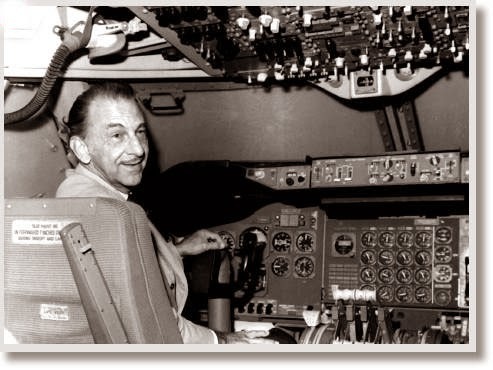 J R D Tata (1904-1993) received his pilot's licence in February 1929, and set up India's first airline, Tata Airlines, in 1932. Tata piloted its inaugural flight from Karachi to Mumbai (then known as Bombay). In 1946, it was renamed Air-India. Two years later, Tata set up Air-India International in collaboration with the government. Five years later, in keeping with the socialist fervour of the times, the government decided to nationalise the aviation business. Tata suggested that the government should consolidate the airlines into two ventures: one for domestic aviation (Indian Airlines) and the other for flying overseas (Air-India). The government asked Tata to become the chairman of Air-India. He continued to hold this post till 1978 when his services were terminated by Morarji Desai, the prime minister. In the early 1980s, Indira Gandhi, who had come back to power, reinstated Tata. Tata, it so happens, was an avid writer of letters. Some of these were published in 2004 by Rupa (JRD Tata Letters) which throw invaluable light on those days. Tata was as hands-on as possible. On May 17, 1966, he wrote of his experience on two Air-India flights, one from Bombay to Beirut and Frankfurt, and the other from Beirut to Bombay. We find him complaining that the sweets served after takeoff and landing tasted like hair lotion; the omelettes were overcooked (solution: stock them a little raw; so when they are warmed, they won't get overcooked); only bananas, apple and oranges were being served, though pears were available in the market; and there was no German-speaking hostess on the flight to Frankfurt. On August 16, 1967, he complained about a makeshift white curtain that separated the business and economy classes on a Delhi-Bombay flight. The curtain didn't fit the decor and fell two feet short of the floor. "I must repeat," Tata wrote, "that I do not want any changes made to the approved decor of our planes without my express approval." Tata, it seems, was very particular about his coffee. On July 2, 1970, he said the coffee on a Bombay-Beirut flight "was watery. In fact, it looked like tea and tasted like bean soup." Two years later, on July 28, 1972, he complained that the coffee on a Bombay-Delhi flight was "undrinkable". He went on to inspect the coffee-maker in the galley and the coffee bags. Since the coffee-maker was automatic and the coffee smelled good, the problem, he said, could be because of too much water in the machine or too little coffee in the bags. "This should be corrected without delay," Tata wrote, "as nothing ruins even a good dinner as much as a bad cup of coffee to end it." Tata also complained frequently to the government about its interference in the airline. On January 23, 1958, he wrote to Humayun Kabir, the civil aviation minister, that the government's nominees on the airline's board insisted on "voluminous notes, with full enclosures, on every single item of the agenda, even where the subject is of little importance." He then requested the minister to "de-officialise" the board to help "reduce the amount of time and paperwork required up to now for the board meetings". He wrote several such letters, including one to Sachindra Chaudhury, then finance minister, on October 19, 1966 protesting his decision to take back the cars given to ten senior officers as an austerity measure. On February 13, 1978, after he had been removed as chairman of Air-India, Tata wrote to Desai expressing his hurt over being informed of the government's decision by his successor (Air Chief Marshal P C Lal) and the media. He also disclosed in the letter that he had met Desai a few days ago (January 24, to be precise) and had got no hint that such a decision would be taken. "Perhaps, busy as you are with more important national matters, you were not aware that at no time in its history has Air-India been so successful and so profitable as in the current year, 1977-78," Tata wrote. Point to note: Air-India was once profitable.